Polifactory China | One of the most important architectural websites in the world, Archdaily, has interviewed one of our clients and friend since we met with her in our loved city of Shanghai, Montse Zamorano Photographer. And you can read the complete interview HERE. She is a good friend of Polifactory since then. 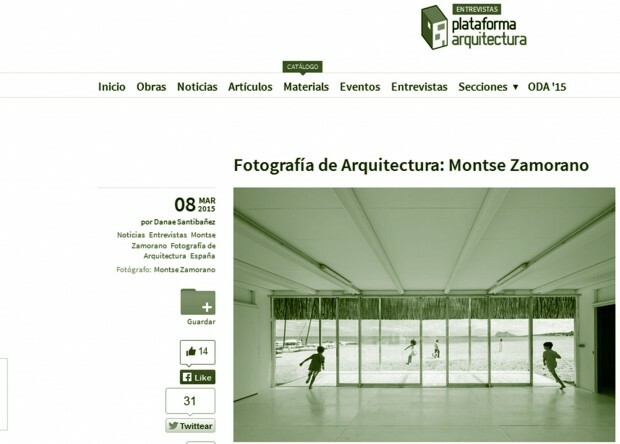 She helped us taking photos of most of the Abelardo Lafuente´s buildings before the Expo 2010, and we credited her in our publications and exhibitions since then. In exchange we designed for her the new website and branding, which has been published at this blog before, HERE. We are so proud of her work and we are the first supporters. The Polifactory team wish her all the best at her new challenge in New York.